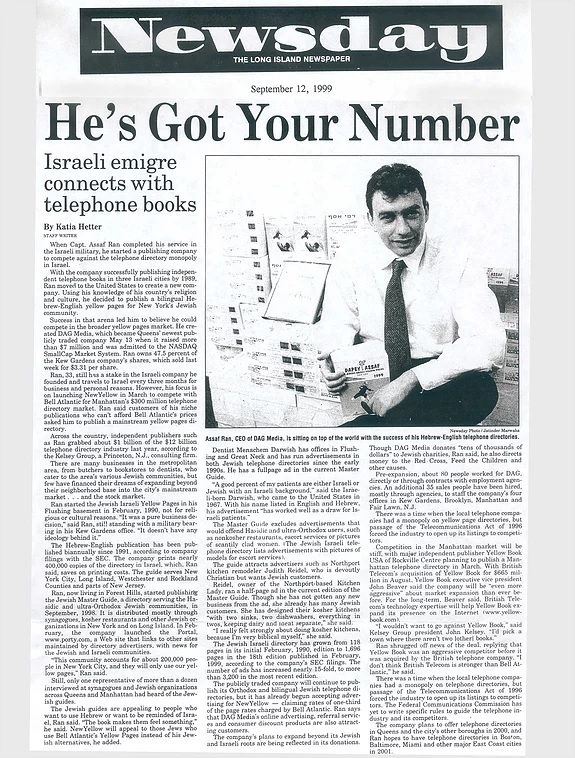 Another company, DAG Media, publishers of the 10-year-old Jewish Israeli Yellow Pages, rolled out its three-and-a-half pound New Yellow on March 31 and plans to deliver 900,000 copies by next month, said Assaf Ran, its president. The company is planning a second edition in October. And Ambassador Publishing, a privately held start-up, plans to publish a 1,600-page directory in November. 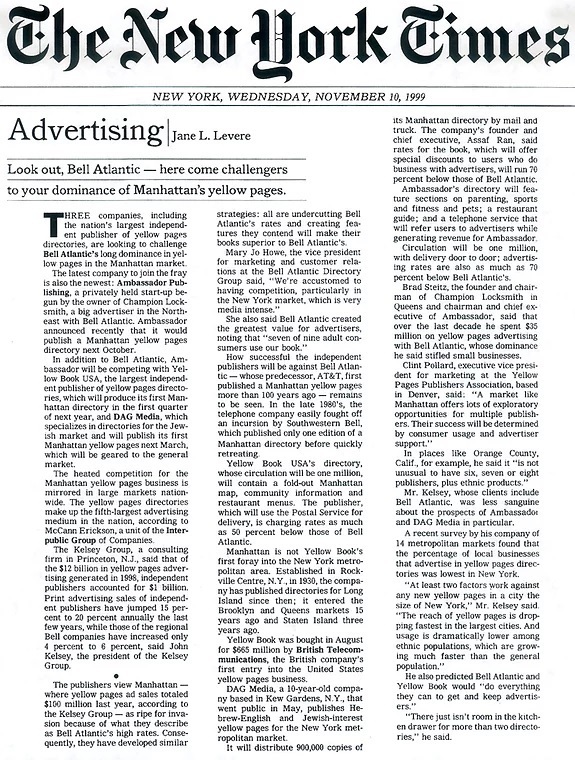 "As Assaf Ran [DAG Media's chief executive officer], was developing his yellow pages products, he developed a referral service," said Alhadeff. "He realized the referral service was a real value add. But he also realized to make it scale, it was going to take some technology." 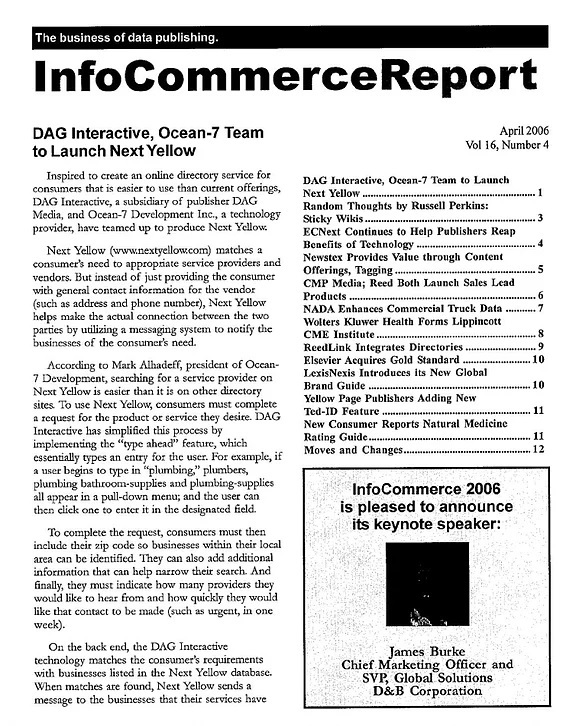 DAG, which publishes and distributes Yellow Pages, business directories, and Ocean 7 began working on the project and building the technology last December. 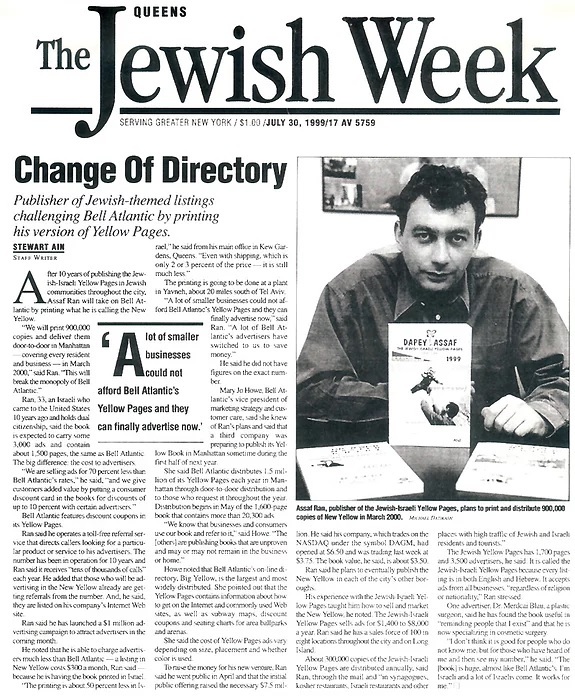 After 10 years of publishing the Jewish-Israeli Yellow Pages in Jewish communities throughout the city, Assaf Ran will take on Bell Atlantic by printing what he is calling the New Yellow. 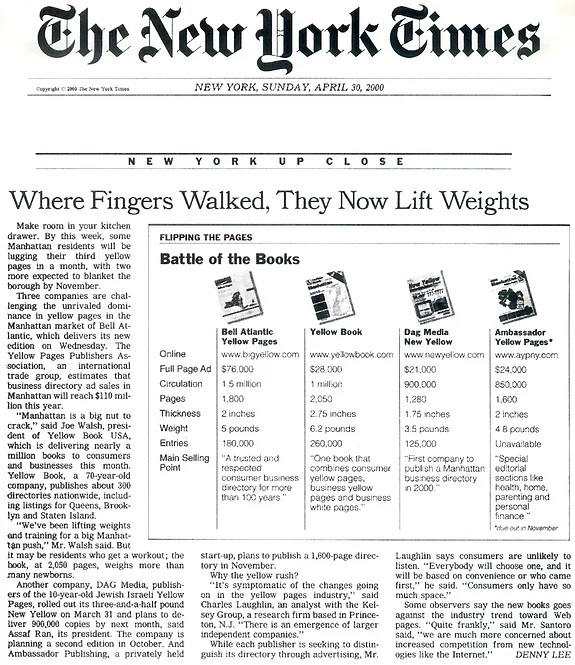 "We will print 900,000 copies and deliver them door-to-door in Manhattan- covering every resident and business -- in March 2000, " said Ran. "This will break the monopoly of Bell Atlantic ." Want a business to call you? 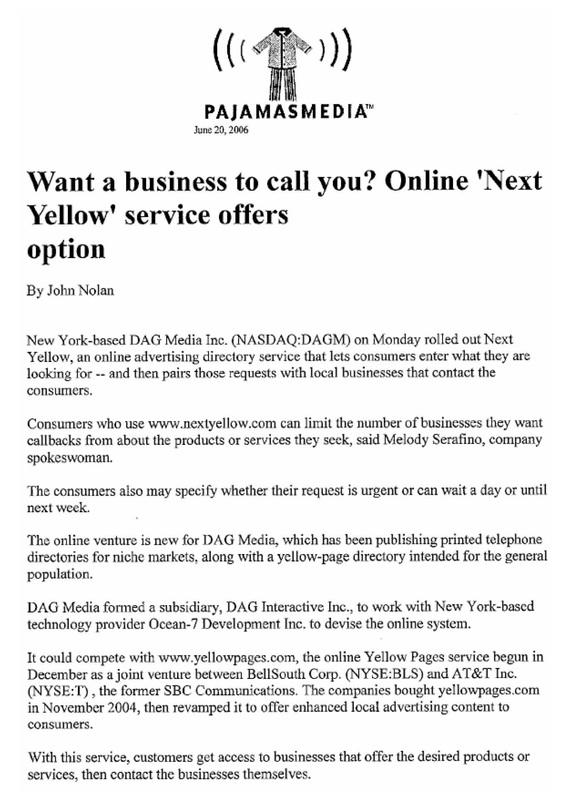 New York-based DAG Media Inc. (NASDAQ:DAGM) on Monday rolled out Next Yellow, an online advertising directory service that lets consumers enter what they are looking for -- and then pairs those requests with local businesses that contact the consumers.